Welcome to our page here at Gutters Plus here in Roswell. Anything related to gutters we can take care of for you and do it for a fair price and with a friendly attitude. You definitely want to keep those gutters cleaned out a few times per year so the rain water runs off properly away from your home. This saves your roof, soffit, facia boards and it keeps the water from washing out your foundation of your home which if vital for the long term structure. 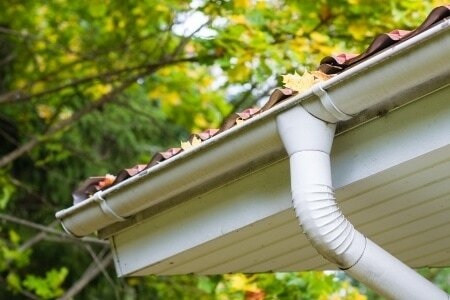 Along with gutter cleaning, we can take care of gutter repairs or install new gutters on your home that will be very efficient. If you are tired of cleaning your gutters then we can put gutter guards over the gutters to ensure that the leaves, twigs and pine straw won't accumulate and cause problems. Take a look at our page and let us know what you need, we are on stand by to take care of any and all gutter needs in the Roswell and North Atlanta, Ga area! 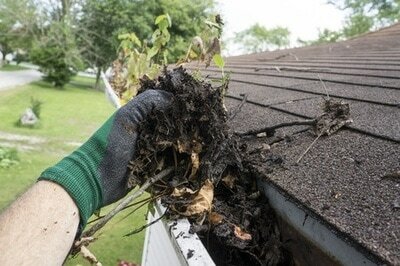 ​Don't delay getting those gutters cleaned out when it is so inexpensive to get done! Call us for a quick quote on getting your gutters cleaned out here in Roswell quickly and get on the schedule today. Or you can fill out the form to the right of this page and we will contact you right away. We do it all! While we are there and cleaning them out, we can give you an inspection on your roof and gutters and let you know what we see. This is always a good idea to get done periodically just to make sure that nothing looks out of the ordinary. The great thing is that we can take care of repairs, and quote you on a replacement gutter system with the brand new technology if you are looking for that. Gutters Plus has been servicing the metro Atlanta for years and offers a satisfaction guarantee! Give yourself the peace of mind of hiring a reputable company to handle all of your gutter cleaning, repair and installation needs. We are fully licensed and insured so that you feel comfortable and safe with us. Check out our about page to learn more. Get with the best gutter installation, repair and cleaning company in Roswell, Ga here at Gutters Plus. 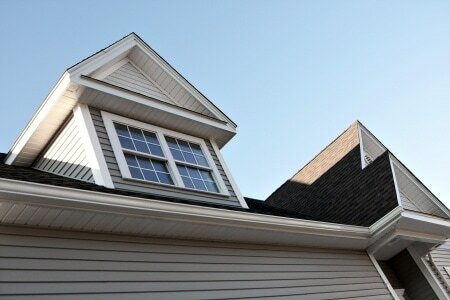 We are family owned and operated and look forward to taking care of your gutters. Not only will we clean your gutters with perfection, we will do it for a low flat fee and get you in the books for next time as well. Trust the professionals at Gutters Plus for all of your gutter installation, gutter repair, and gutter cleaning needs here in North Atlanta and Roswell Georgia. Once you call us to schedule our service, we will set you up for a window of time for the day of your choice. Before we come out, we can confirm with you that everything is still on for service so that you are aware that we are on the way. Having efficiently flowing gutters will ensure that your property stays clear of any water damage and continues to stay at top value for years to come. We look forward to working with you! Call us to find out why we are the best here in Roswell and metro Atlanta!